I am sure you have heard of the saying, "Good news comes in threes". 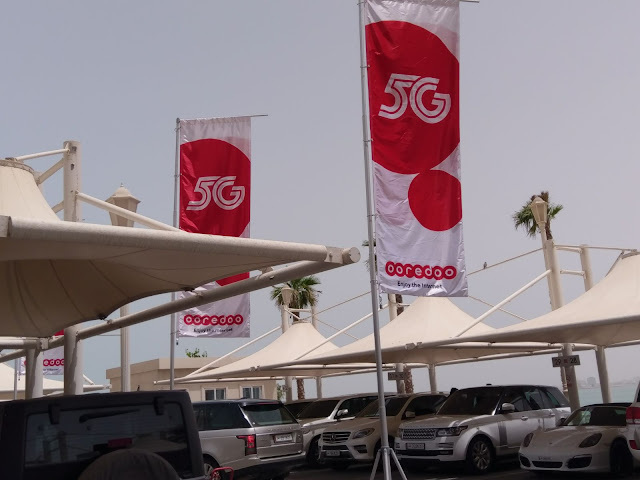 Well, what better than to have three Middle East operators claim World's First 5G Networks. STC announced the first live 5G network in MENA. This launching is the initial phase for operating the service once 5G special devices are available in the global markets. In January 2017, STC succeeded in advanced technical experiments and trials on 5G technology as part of the company's strategy of leading technological development and leading modern and advanced services. The widespread use of 5G will facilitate the dissemination of information, promote prosperity of the common digital economy and accelerate changes in productivity methods and lifestyles. Back in March STC had announced a collaboration with Nokia for 5G launch. In the first phase of the launch, 5G fixed wireless services (fixed and internet services) will be provided in selected locations in UAE, which will gradually expand to other parts of the country depending on consumer demand and requirements. The commercial fixed devices and services will be available for consumers starting from September this year. Saleh Al Abdooli, CEO, Etisalat Group applauded the efforts of the entire team, he said: "Today's announcement is a historic moment for the company as the commercial launch of the 5G network will set a milestone for the UAE. Etisalat today is the first telecom operator in the world to provide this ultra-high 5G C-band data speed as a commercial service over the wireless network. Keeping in line with its vision of bringing in digital innovation, Etisalat was on track as the first operator in the MENA region to launch the first commercial 5G wireless network achieving a technology milestone and set an industry benchmark. Etisalat is the first operator to have a fully developed commercial 5G network available to provide gigabit internet services to its customers. Now that the first 5G networks have been rolled out, we can move on and focus on important topics like how to make money and what new use cases will be served by 5G, etc.